Barcelona/Madrid, February 16, 2017. – Profs. 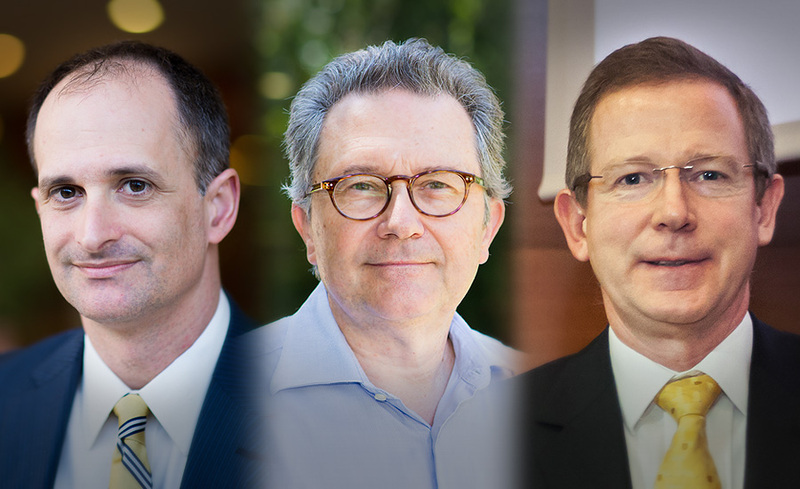 John Almandoz, Xavier Vives and Eric Weber have received Research Excellence Awards granted by the IESE Alumni Association in recognition of the most relevant research and teaching by IESE faculty members during 2015-2016. Best article: John Almandoz, assistant professor of managing people in organizations, for “When Experts Become Liabilities: Domain Experts on Boards and Organizational Failure”. The article, written jointly with Prof. András Tilcsik of the Rotman School of Management and published in the Academy of Management Journal, calls into question the contribution of domain experts to corporate boards. Data in hand, the article warns that the pre-dominance of this type of board member may undermine a company´s viability and push it toward failure. Best book: Xavier Vives, professor of economics and financial management, for Competition and Stability in Banking: The Role of Regulation and Competition Policy Competition, published by Princeton University Press. In this book on the banking sector, the author strongly advocates for competition policies that encourage growth, but at the same time are closely attuned to prudent regulations that guarantee stability – a balance that is always difficult, but necessary. Best course: Eric Weber, professor of accounting and control, for “Management and Control Systems”, offered as part of the MBA program. The jury highlighted the course’s impact on its students and Prof. Weber’s use of real-world examples – centered around actual company cases – to teach about systems of control and management in organizations. Created in 2001-2002 by the IESE Alumni Association to support excellence in research and teaching in corporate management, the each award includes a prize of 10,000 euros. The awards ceremony was held simultaneously on the Barcelona and Madrid campuses.